Real estate developers JDS Development Group and Property Markets Group, in partnership with Starwood Capital Group, the visionary team behind the exceptionally successful Walker Tower luxury conversion project in Chelsea, are once again bringing a Ralph Walker architectural masterpiece to the residential market. 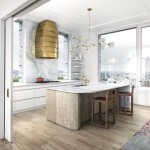 The newly launched Stella Tower, located at 425 West 50th Street between Ninth and Tenth Avenues, is an 18-story, 51-residence tower located in Manhattan’s Hell’s Kitchen neighborhood. “Stella Tower is poised to transform the Hell’s Kitchen market the same way Walker Tower transformed Chelsea. 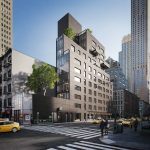 Stella Tower will set the bar for refined design and quality in this neighborhood,” said Elliott Joseph, a principal of Property Markets Group. Originally designed in 1927 by preeminent Art Deco architect Ralph Walker and completed in 1930 for the New York Telephone Company, Stella Tower soars above its neighbors and offers dramatic 360-degree views. 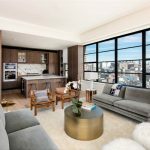 The one- to three-bedroom residences range in size from 1,000 to 2,200 square feet, with current asking prices from $1.8 to $6.2 million. 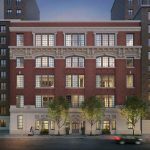 The penthouses are as large as 3,600 square feet and are slated to fetch between $10 and $14 million. The original Art Deco ornamentation and brick façade are being painstakingly restored, and the building’s iconic crown, removed in the 1950s, is being refabricated and restored. Stella Tower features oversized tilt-and-turn windows, with ceiling heights ranging from 10 to nearly 14 feet. Select residences boast fireplaces and some include private outdoor space. Cetra/CRI Architecture PPLC is the project architect. 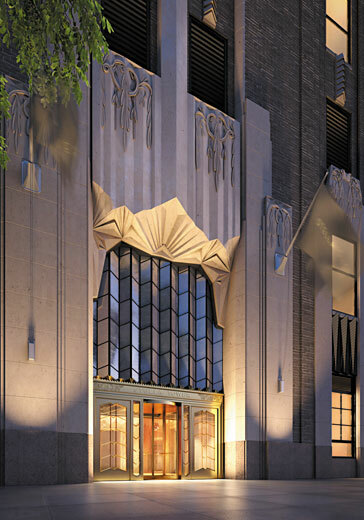 “We’re keeping the integrity of Ralph Walker’s vision, concentrating on the façade and Art Deco ornamentation that made him famous, while also adding custom-designed, quality finishes and amenities,” said Michael Stern, managing director of JDS Development Group. 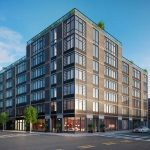 Vickey Barron and Michael Graves of Douglas Elliman Development Marketing are the exclusive marketing and sales agents for Stella Tower. Barron was responsible for the spectacular success at Walker Tower. The lobby at Stella Tower includes artfully restored detail in patterned terrazzo floors; marble finishes; hand-carved millwork; coffered ceilings; custom lighting; and bronze trimwork. 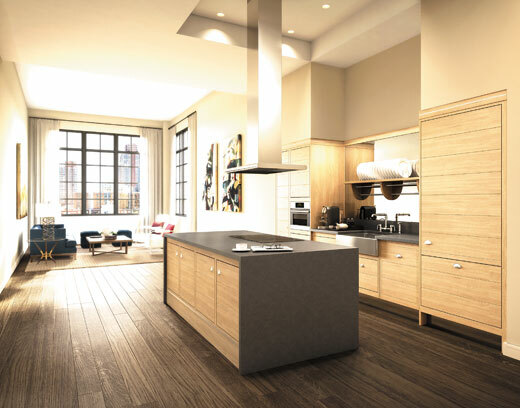 The residences have custom hand-laid oak flooring; fine custom millwork; Nanz hardware; custom lighting packages by Buro Happold; custom paneled solid 8-foot doors; premium air conditioning systems; Nest learning thermostats; and Bosch washers and dryers. Kitchens include custom Smallbone of Devizes cabinetry with solid European oak frames in natural finish; custom-polished concrete countertops; Waterworks R.W. Atlas fixtures; and Miele appliances. 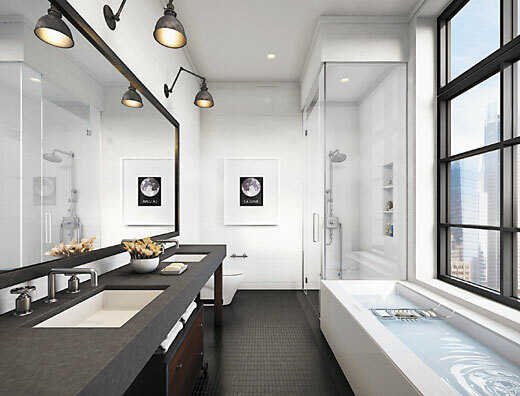 Master baths feature steam showers; radiant floor heating; Black Zeus marble in a chevron mosaic pattern; cabinetry including Nanz hardware; custom glass shower enclosures and walnut washstand blackened steel vanity mirrors; Waterworks R.W. Atlas fixtures; and handheld showerheads with thermostatic controls. Secondary baths offer custom marble mosaic floors and the powder rooms feature polished limestone herringbone floors. Stella Tower will have a 24-hour attended lobby; fitness center; a resident’s lounge with pantry and bar; a bicycle storage room; temperature controlled grocery storage; and an outdoor garden lounge. For more information, visit stellatower.com.